All Dave Roberts ever wanted to do (apart from collect football programmes) was to work in advertising. More specifically, to work for the world's best advertising agency, Saatchi and Saatchi. There was just one problem. Even when he managed to persuade someone to employ him, Dave's copywriting assignments were mainly for second hand car dealers and double glazing companies. And Leeds, Manchester and, bizarrely, New Zealand were a long way from Charlotte Street and Madison Avenue. 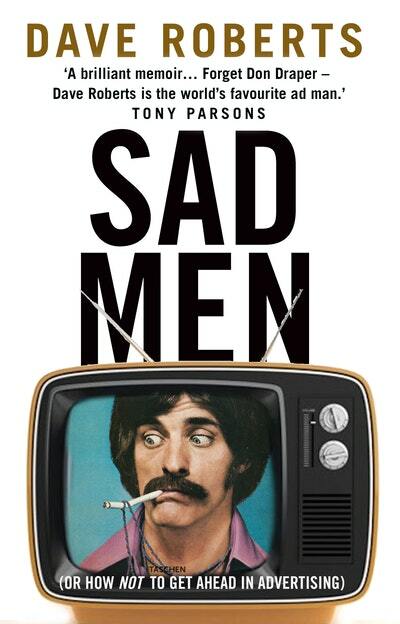 This was the world of the Sad Men. In his sparkling new memoir, Dave tells the story of a life shaped by his love of adverts, from seeing the PG Tips chimps at the age of three to writing infamous ads such as the Westpac Rap and having David Jason plug a family restaurant. Bursting with brilliant ideas - and some pretty daft ones - it is the cautionary tale of a quest for advertising glory... and not quite ever getting there. Love Sad Men? Subscribe to Read More to find out about similar books.